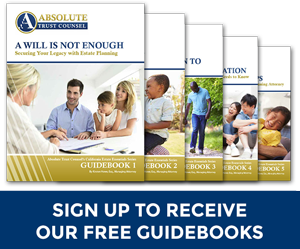 Greater Bay Area estate planning firm Absolute Trust Counsel announces the launch of the Absolute Trust Talk podcast. 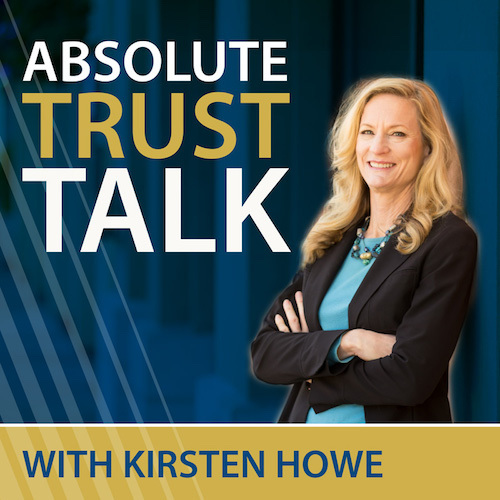 Absolute Trust Talk was launched as a new avenue to educate clients and prospects on a wide variety of trending business and financial wellness topics and how they can make better-informed decisions when planning for the future. Each Absolute Trust Talk episode will run about 30 minutes long, and the show will run bimonthly after our initial seven-episode launch. Absolute Trust Talk is set to launch on April 16th and is available to listen to on iTunes. Geoff Zimmerman is a Certified Financial Planner Practitioner and a seasoned veteran in the San Francisco Bay Area financial community for well over 20 years. For the last 10 years, Geoff has been working as Senior Advisor and Chief Compliance Officer at his firm Mosaic Financial Partners, Inc. Geoff has a high level of expertise in all the major areas of financial planning while specializing in planning for senior-level executives of publicly traded companies. Geoff’s ideal clients are individuals or couples who have enough life experience or complexity to recognize the value in working with a trusted and experienced thought partner. For more about Geoff visit: https://www.mosaicfp.com/geoff-zimmerman. Karen Fisher is one of Northern California’s most seasoned professional trust and estate administrators, having more than twenty years’ experience with high net worth clients. Karen concentrates on probate and estate administration, irrevocable trusts, charitable trusts, and special needs trusts, as well as other sophisticated estate planning vehicles to assist clients in meeting their financial and estate planning goals (ILIT’s, FLP/LLC). Focused on meeting the unique needs of each family, Karen also provides additional services for trust clients: Agent for Advanced Health Care Directives, Agent for Durable Power of Attorney for Financial, Conservatorships, Representative Payee, Bill Paying Services.Karen’s passion and purpose are clear to every one she meets. She’s committed to implementing estate plans according to the wishes of her clients. Karen is the president of Bishop Fiduciary Services. For more about Karen, visit: http://bishopfiduciary.com/. Gary has nearly 40 years of experience in the financial services industry as a Certified Financial Planner and Registered Investment Advisor. The heart of his Walnut Creek firm, Life&Wealth Advisors, Inc., is helping clients in transition, preparing for a wide range of life events. In addition to his CFP and Investment Advisor credentials, Gary is also a Certified Financial Transitionist®, and a true pioneer in this financial planning sector. Gary was in the first graduating class of the Financial Transitionist Institute (a division of The Sudden Money Institute). What drew him in was not only the technical process but his love, passion, and gift of guiding clients through the emotional process of these transitions whether it be retirement, the sale of a business, the death of a loved one or any other significant life change. For more on Gary, visit: http://www.lwadvice.com. Denae is a California native with over 20 years of experience in both real estate and business. As managing shareholder of Budde Law Group, Denae’s practice emphasizes real estate and business matters, handling both clients’ transactions and efficiently resolving litigation matters. Denae has tried over 50 cases to verdict, uniquely equipping her to assess how agreements will be evaluated and handled in a dispute. Whether negotiating and drafting real estate agreements such as acquisition documents, financing documents or leases, Denae provides clear and concise counsel to her clients and evaluates their goals and provides the most cost-effective options. For more on Denae and her practice, visit: http://blglegal.net. A California native, Ora Citron left a lengthy career as a management consultant for major corporations to make a direct impact on individuals through specialized financial planning. Ora runs a woman-owned, independent, fee-based financial consultancy firm that’s been serving Northern California’s East Bay over the last 15 years. Ora uses goals-based planning to develop a customized investment strategy for each client’s particular needs and life choices. The firm specializes in assisting women through major life transitions including divorce, widowhood, and retirement. For more on Ora and her practice visit: http://www.oracitron.com/p/ora-r-citron-mba. California native Ariel Brownell started out studying criminal justice and psychology only to end up finding her passion on a completely different path, in family law. Now a solo practitioner in Walnut Creek, Ariel takes immense pride in her four-year-old firm, offering exceptional and personal experience in all facets of family law. For more on Ariel and her practice visit: http://www.brownelllegal.com/attorney-profile/.